- New Feature: Crop/rotate your custom images! - Update: New built-in image - Streaks! Like the below updates, this is a maintenance release that brings with it a few good extras. Primarily, you can now crop/rotate your custom images when selecting them, a feature lots of folks have requested. 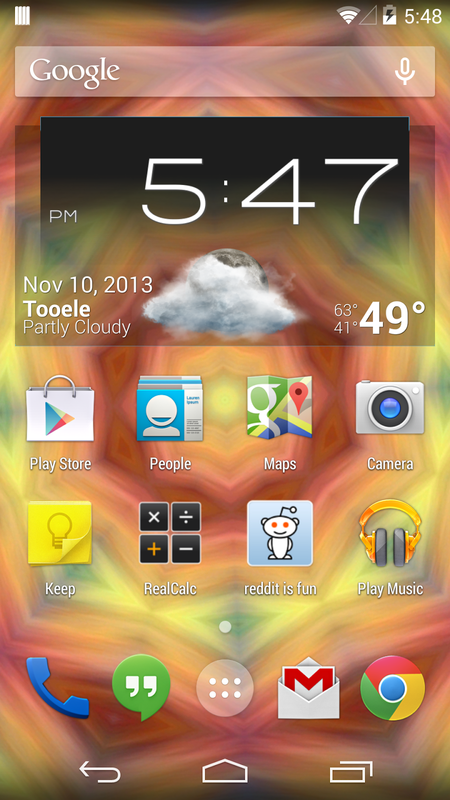 We're also including a new built-in image that gives a nice gentle background pattern. The icon is higher res too, which is cool, I guess. I'm having an issue where I can't use custom images on my new nexus 5. Any help? Was my only wallpaper app on my N4! Thanks. Hey man, just uploaded a build that fixes this. Sorry about that!